Holy holographic glitter, Batman! 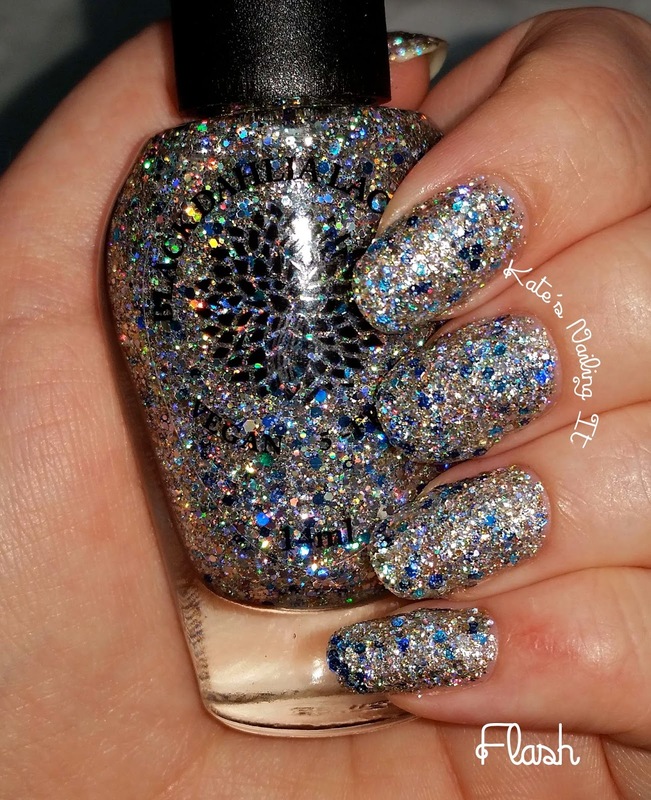 This polish is amazing!!! Woke Up On 6th Street comes from Black Dahlia Lacquer's Capital Collection, inspired by the city of Austin, Texas. I did a little bit of Googling and it turns out that 6th Street is the heart of Austin's arts and entertainment district. 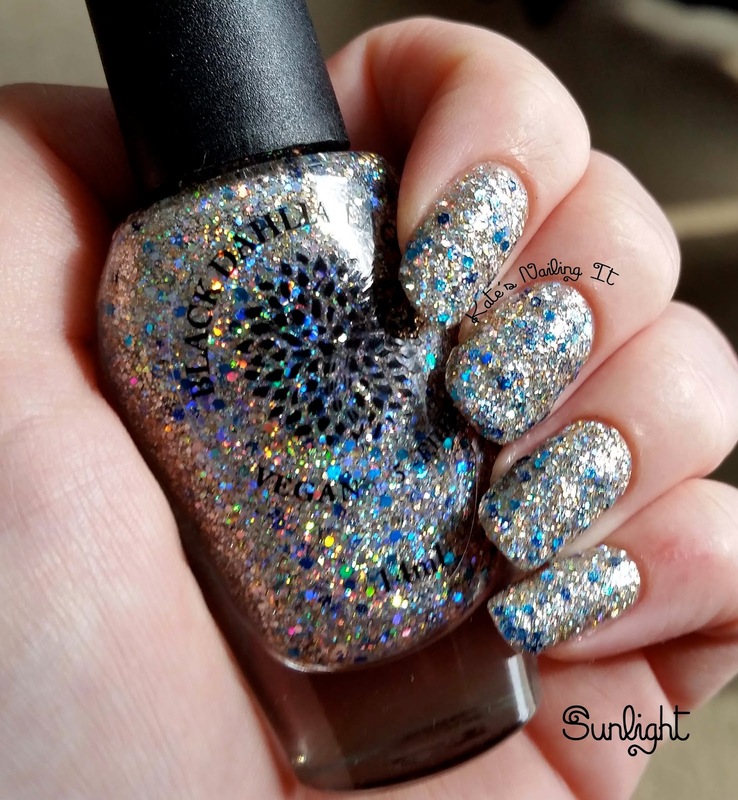 That explains the bling and glam in this polish! 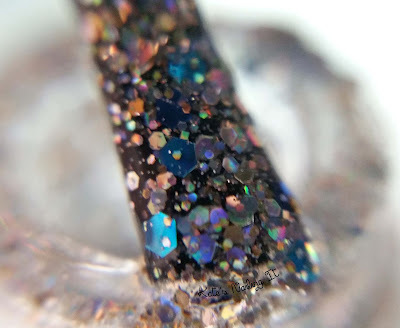 I absolutely love the small spattering of blue glitters in there with the silver. 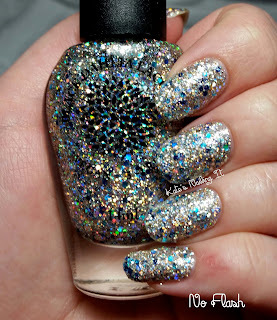 It adds just enough depth to the polish to break up the holo rainbow a little bit, helping to make it impossible for me to look away. 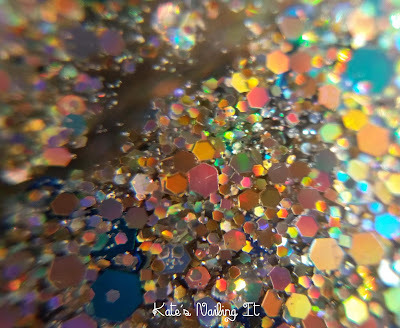 Application is surprisingly smooth for such a dense glitter. 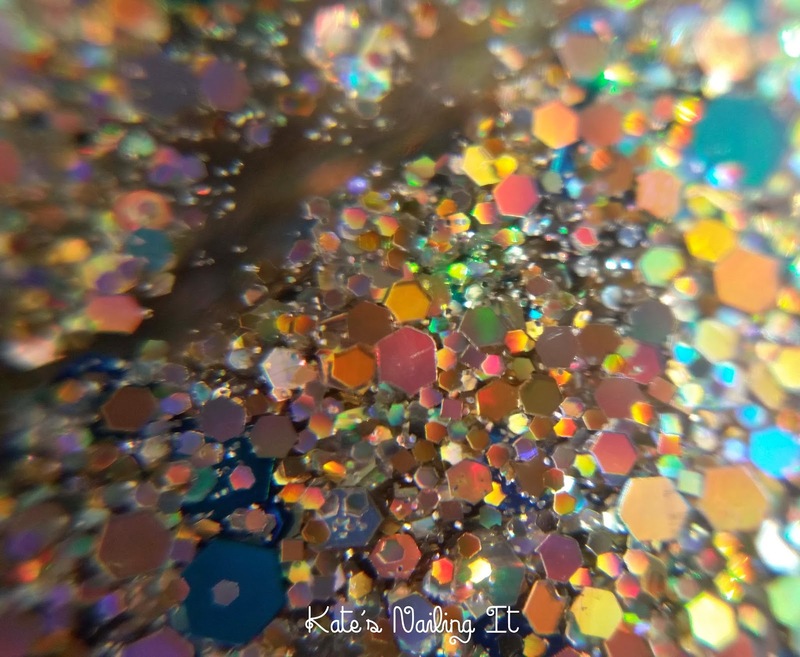 The glitters don't clump together, nor do they cling to the brush. A very pleasant surprise as I didn't expect such a dense glitterbomb to be so cooperative! 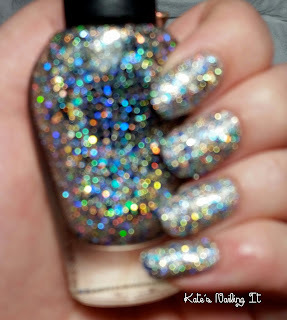 JUST LOOK AT ALL OF THAT OUT-OF-FOCUS HOLO GOODNESS. Another great surprise about this polish is just how dense it is. It was practically opaque at only one coat! I used two coats in all of the photos. Can you believe that? Only two coats of a glitterbomb, and it's 100% completely opaque! I'm super in love with this polish. If I ever visit Austin, I'll definitely have to pay a visit to 6th street with this on my nails! This is definitely one of my top favorite glitterbombs that I own. 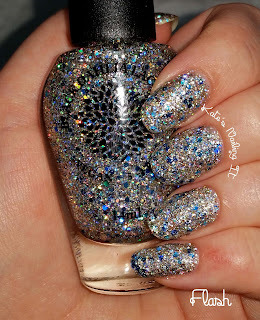 What are your favorite glitter bombs? Are any of you from or familiar with Austin, and if so, what do you think of this representation of Sixth Street? Let me know in the comments! I'm a filmmaker gone nail blogger turned crocheter. 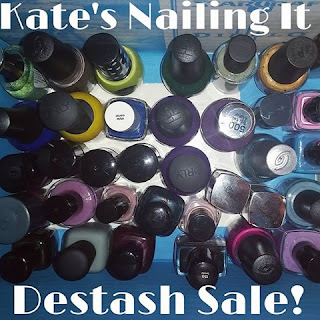 I've loved painting my nails for most of my life, so I decided to start blogging about it in August 2014. I learned to crochet in February 2015 and loved it so much that I started selling in September 2015! Kate's been Nailing It for a year! Do I Need Them All? : A new comparison series! 4th of July nail art - then, now, and then!